Voice over IP (VoIP) solutions are ideal for businesses that want to save money and streamline their business processes. VoIP allows you to place phone calls and send faxes via your internet connection, bypassing the phone company (and its related charges) entirely. It is the service of choice for businesses that offer telecommuting or have employees who are frequently out of the office for work. All they need is an internet connection to be tapped in to the company’s VoIP system. Mansfield Computing Solutions is proud to be a Vonage Business Solutions Partner. Vonage was one of the first companies to offer VoIP services and continues to lead the industry in service delivery. VoIP lets you replace antiquated office phone systems with a state-of-the-art, easy to use, and reasonably priced system. Vonage’s Small Business Phone Solutions are designed to provide a seamless transition from standard phone services to VoIP. 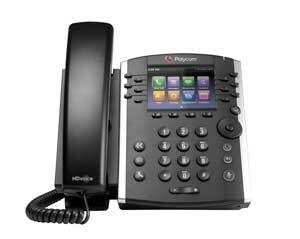 Anything you can do with your current phone system, you can do with VoIP. Cost Savings. VoIP lets businesses take advantage of their existing internet connections to save money on all phone calls whether they are international or domestic. Creating a Big Business Presence. Standard features like call waiting, call forwarding, and virtual receptionist provide even the smallest of companies with the flexibility and professional presence of their larger competitors. Improved Telecommuting Capabilities and Productivity. VoIP allows you to work from anywhere. With that kind of flexibility, you never have to worry about business coming to a halt if employees can’t make it in to the office. Happier Employees. Employees who have the ability to work remotely report greater job satisfaction and demonstrate higher retention rates than those who do not. Call us at 919.696.8178 to set up a free 30 – 45 minute consultation or fill out the contact form. We will discuss your needs and make recommendations for improving your entire office telephone system.